These premium quality crystal glass awards have a geometric design with clean lines. The clear glass column is mounted on a black glass bevelled base. 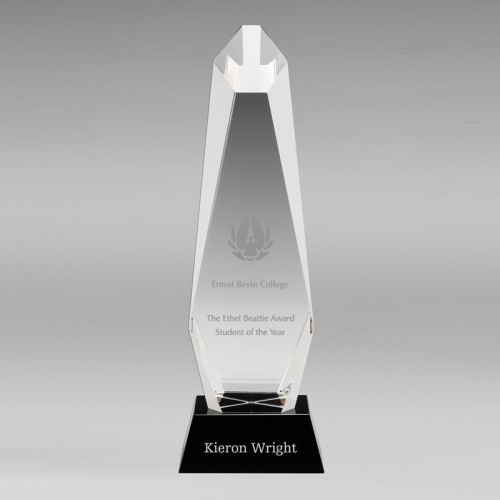 They can be engraved on both the column body and/or black glass base. Each 12.25in tall award is supplied presentation boxed.